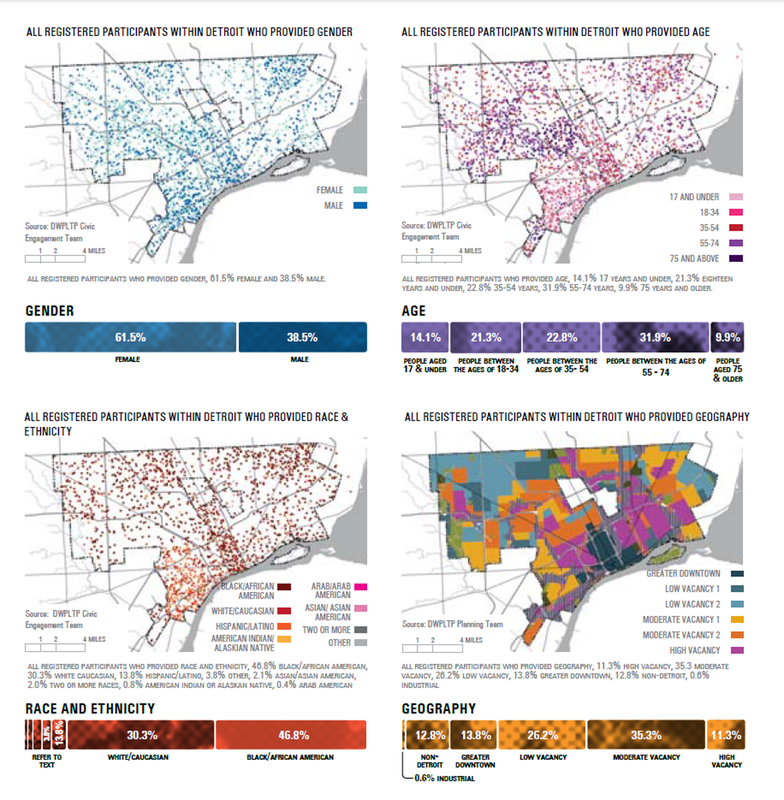 This may be one of the most interesting maps within the Detroit Future City reports. This map shows the extent of DFC community engagement. They note that they kept a broad definition of community and worked to engage all potential stakeholders. 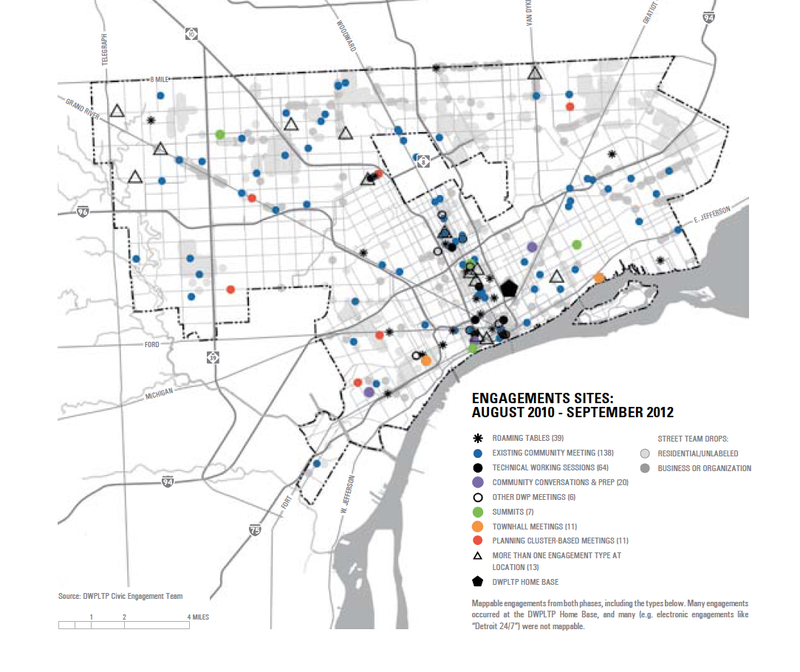 The map represents Detroit’s infrastructure of people and notable organizations. These are the locations where people are being listened to, where people are organizing their own communities, and where people are beginning to remake their neighborhoods. There have been discussions about how DFC hasn’t been as inclusive as it should have been or that it could have worked harder to solicit and include more residents feedback. 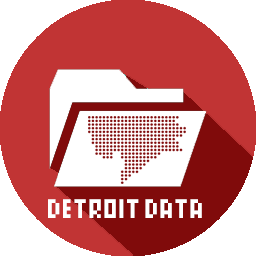 Nevertheless, the DFC civic outreach represents a massive undertaking to try and engage as many residents as possible when it could easily be said that Detroit has no working infrastructure that connects all of its residents. There is a dense cluster in Downtown/ Midtown where working sessions, engagement sessions, and summits occurred unlike any other part of the city.